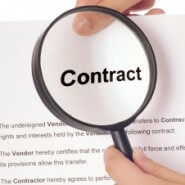 Home » Legal Issues » A Letter of Legal Clearance? What is it? Do I Need One? A Letter of Legal Clearance? What is it? Do I Need One? 6. If the recipients can dispose of the excess embryos by donating them to another recipient for family building. There are many other matters that can be addressed in a Letter of Legal Clearance (as there are many other matters addressed in the Egg or Embryo Donation Agreement including and most importantly, the donor’s relinquishment of parental rights) but the above generally shows how the attorney can inform the clinic of the intentions/expectations of both parties so that the clinic can accommodate any future request consistent with what the parties agreed to at the time of the donation. A Letter of Legal Clearance is a good idea for all who are involved in assisted family building and one that should be strongly considered by those clinics that do not presently require direct agreements. Recipients and donors should also consider the Letter of Legal Clearance as a must-have in order to be best protected throughout the donation process and for many years to follow.